Gallia is on the southern flank of the Western Po Valley, north of the Ligurian Thrust. Two ENI wells drilled north of the thrust near the application tested Middle Miocene sandstone targets but proved uncommercial. 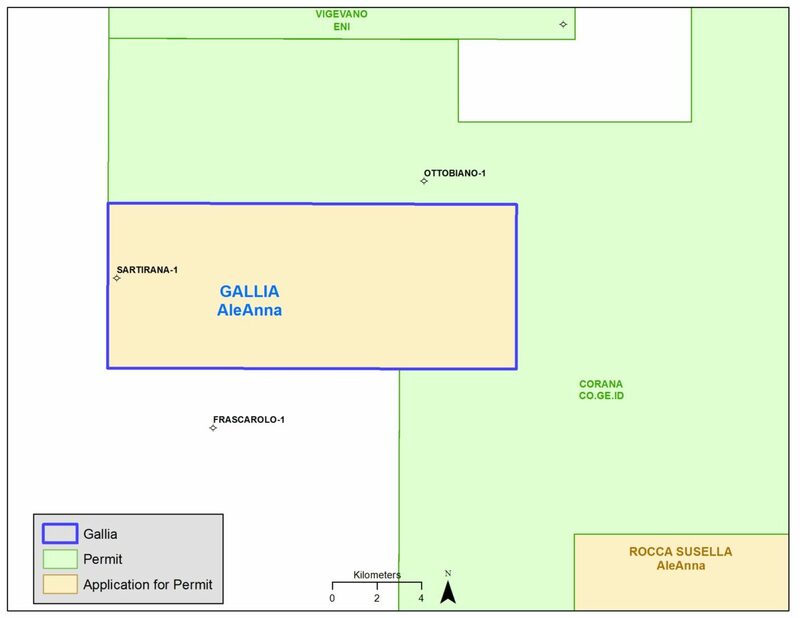 A Lower Pliocene onlap play lead has been mapped that is on both the adjacent Corona permit and on the Gallia application. 2D seismic anomalies appear to pinch out on the south side of the Ottobiano High. Analogous Pliocene onlap play production is from Setalla Field (105 BCFG) to the northeast. 3D seismic is needed to verify the leads. There is also potential for the Mesozoic oil play in this area.